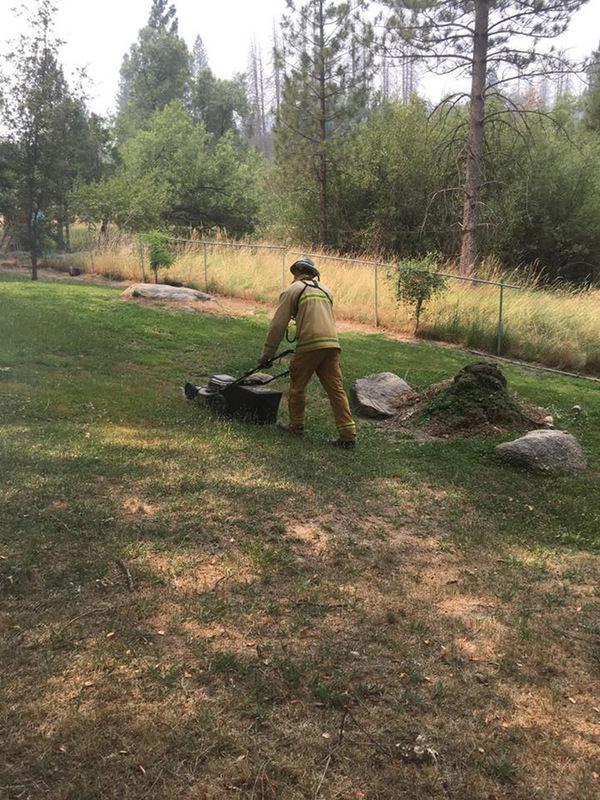 The Ferguson fire in California has been burning since July 13 and has consumed more than 43,000 acres. 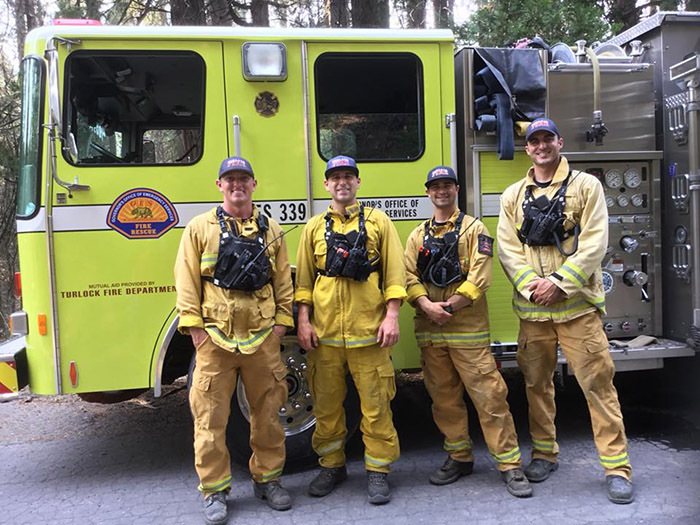 The fire “has threatened homes and critical infrastructure and caused power outages and the evacuation of residents,” the governor’s office said in a statement. 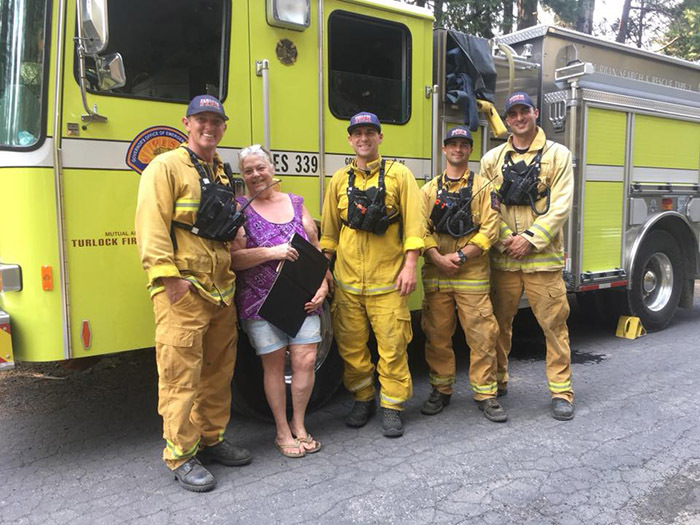 Brenda Ann Marks thought she was going to have to evacuate her cabin again when Turlock firefighters arrived unannounced at her home on Thursday, but the firemen had other plans. 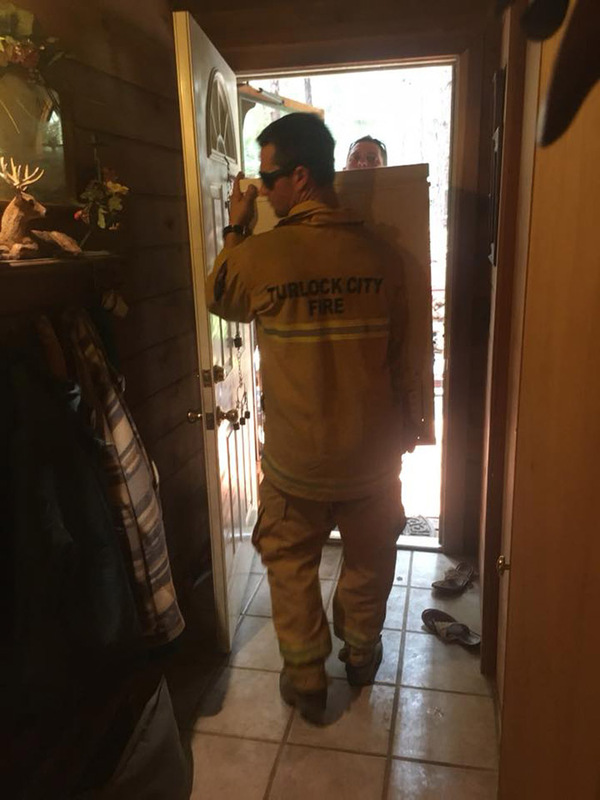 “I heard a knock at front door, when opening the door there stood 4 firemen in full gear…I said oh no I have to leave again? He Instantly replied Nooo ma’am we’re here to help you, Is there anything we can do? I thought for a second no sir… I couldn’t think of anything. “Then the other guy said why is your freezer out here on the deck? Oh I said I still have to clean it out it’s empty of rotten food…I’m going to do that today! He replied well I’m going to clean it out for you… do you have cleaning supplies bleach, 409, some rags… I said oh that’s ok I can do it. 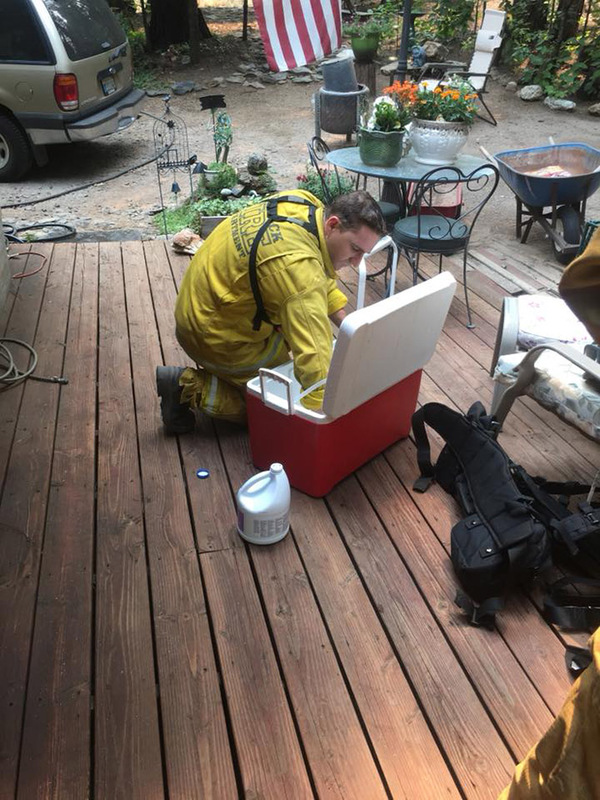 “I had a ice chest that was leaking water inside the front hallway…. well I’m sure you can guess he took everything out transferring it to a good freezer next to it! I also had a lot of pieces to the inside of the refrigerator freezer propped up in the hall drying from being cleaned. 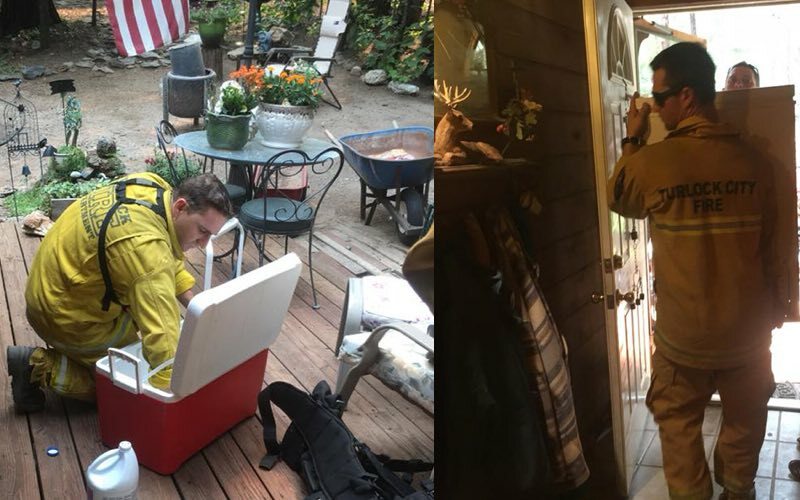 “I teared up…I thank them all so much for everything from saving all the homes and helping me out here at my Cabin. They all gave me a big hug and said nice to meet you Brenda, Cheyenne and Daphne.